Last Night the 80s Saved My Life - A real fun night out..! This means they will be performing every single one of the fab 80s tunes you can hear snippets of on the promo film trailer & more - all 100% live..!! As always, they’re bringing outstanding vocalists too, but seeing as how you’ll all know every word, you’d best fetch your singing voices as well & you may well end up a part of our Wylam audience choir..! Tommy will be spinning an extra special 80’s classics set, either side of the band & trust us, this major, new musical production, exclusive to Wylam Brewery is the hot ticket..! 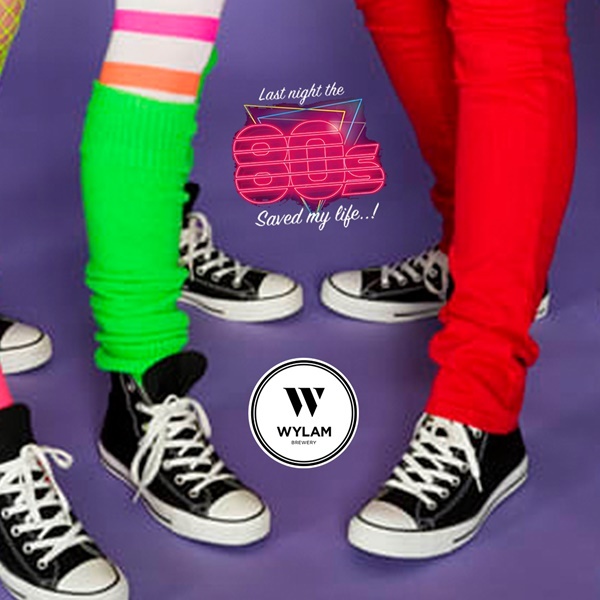 Trust us… the 80’s are back, 'Stranger things' have (actually) happened & this is going to be so much fun! x. As with all shows at Wylam Brewery, there may be some element of flashing lighting in use, at certain points during the live performance. Onstage times are a guide & even as hard as we try, they may vary slightly (in the unlikely event crazy stuff happens unexpectedly on the night). We expect this show to sell out in advance & due to our contract with the Band’s management, tickets can only be refunded once / if / that does happen & we have people waiting on the returns list that Debbie can sell your tickets on to (& you contact her prior to the day of the show). So please plan ahead & only purchase this ticket if you intend to attend the show. If you have ticketing, or any other enquiries, please e mail (everyone's best pal) Debbie at our office on info@welovewhq.com.